Most powerful and courageous speech- Thank You Azeb! The Ethiopia Meles left behind. As we say good bye to departed Meles, let us not forget why we adore and respect him in the first place. He was a man of deeds and hard work. So in that spirit let us go back to work and start the hard work he has left us behind. We will not post any condolence messages any more. Thank you! A Pledge not to be silenced by the loud Silencers and intimidators! 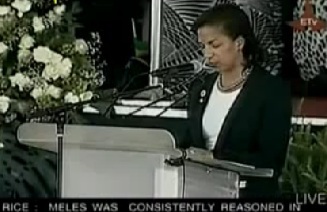 David S. Sep 3, 2012- It has been one day since the burial of the late Prime Minister of Ethiopia, Meles Zenawi. Since the day that the world heard of his passing. Ethiopia has announced it will build a mausoleum to commemorate the life of former leader Meles Zenawi, who was buried on Sunday. Acting Prime Minister Hailemariam Desalegn said the building would include a library and an exhibition of Meles' life and achievements. Ethiopians in the Washington Metropolitan Area Paid homage to the late Prime Minister Meles Zenawi! 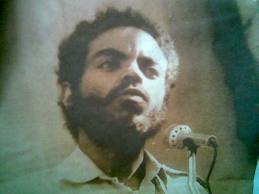 I am a born-again believer & my religion is Meles Zenawi. 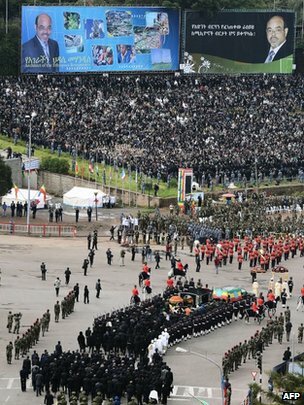 Thousands of people have been attending the state funeral in Addis Ababa of Ethiopia's long-serving Prime Minister Meles Zenawi, who died last month.Mr Meles' flag-draped coffin was carried from his palace to the city's Meskel Square for a ceremony, then buried at the Holy Trinity Cathedral. Ttribute To The Late Prime Minister Meles Zenawi & Family. �የ80 ሚሊዮን ህዝብ እንባ ያበቅላል ዘንባባ�!! 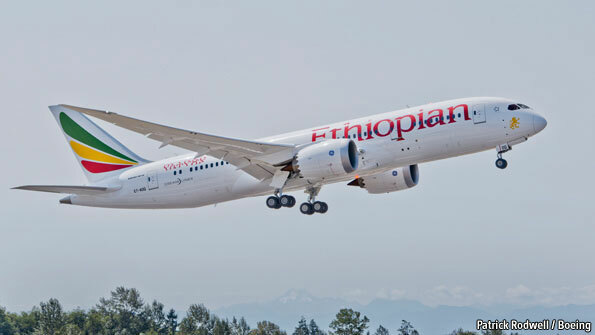 ጠቅላይ ሚስትር መለስ የጣሉት ፖለቲካዊ መሰረት በህዝቡ ጥረት ዳር ይደርሳል!